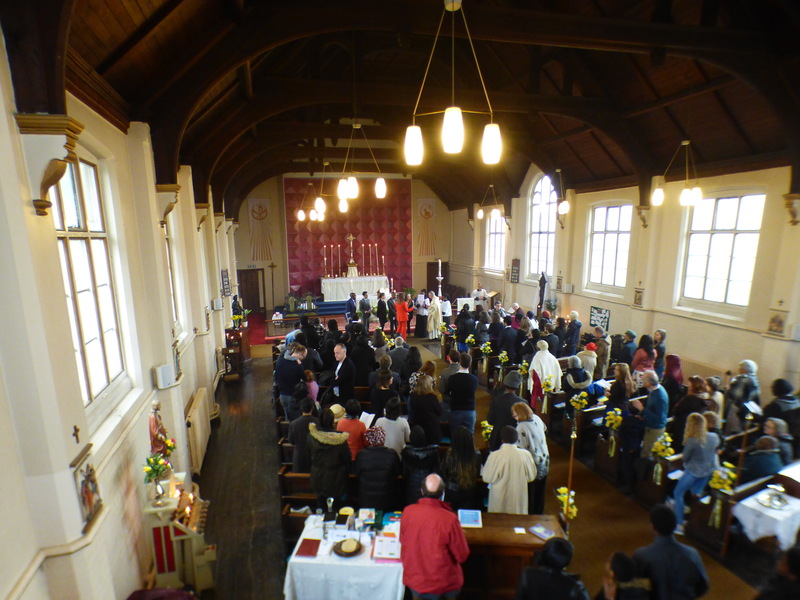 Many people attended the beautiful Lent devotions in music, art and word which ran on Tuesday evenings and featured live performances of devotional music and readings from mainly English 17th century divines. Art images, old and new were projected during the evenings which helped people mediate on the sorrowful mysteries of the Rosary. The Triduum services on Maundy Thursday, Good Friday and Holy Saturday were celebrated jointly with Holy Innocents parishioners, whilst Holy Trinity Church was full to capacity on Easter Sunday morning as we celebrated Jesus’ Resurrection and baptised a new member of the Christian Community here.